Hello guys, its been a month since I last updated my blog and to be honest I'm not really ready to come back ... everything is ok nothing to worry about but last month besides being sick for almost 2 weeks and looking for a new place to move ( few days away, SUPER EXCITED!). I've actually been thinking in new ways to be consistent and how I can improve myself enjoying what I do. BTW my hair is no longer purple lol ... If you wondered what I've been up to this month of November the answer is YOUTUBE + INSTAGRAM! If you didn't know youtube was actually how I started in the social media world and I really wish I never quit years ago. Wishing won't do anything if I don't get back to what I've always loved to do and that is create videos of anything and everything. 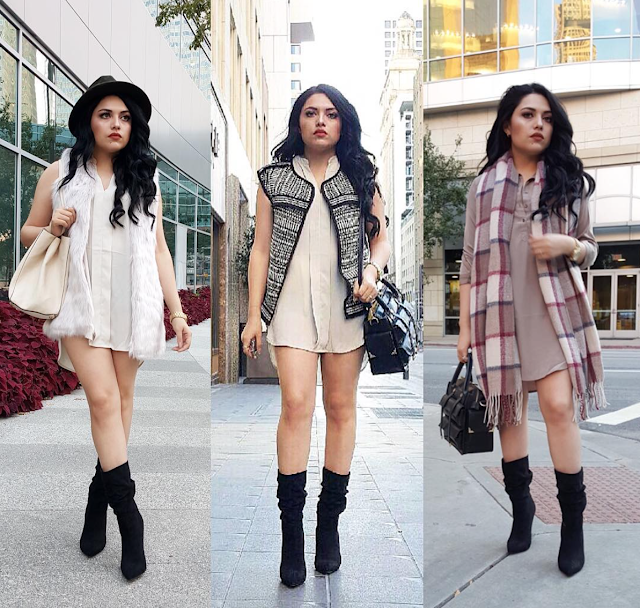 I've been uploading in both spanish and english and still do plan to keep this my fashion blog updated with fashion "my style" which I'm still doing over on Instagram but I might take December off too to make a transition on how?, more like getting into a schedule. Plus with the move sounds like another busy month since I'm thinking about downsizing my closet ( SHOP MY CLOSET SOON on MY POSHMARK) In my opinion blogging is easier than youtube yes but youtube has all my passion right now and it challenges me to be more creative which I love the feeling. HAPPY HOLIDAYS EVERYONE!